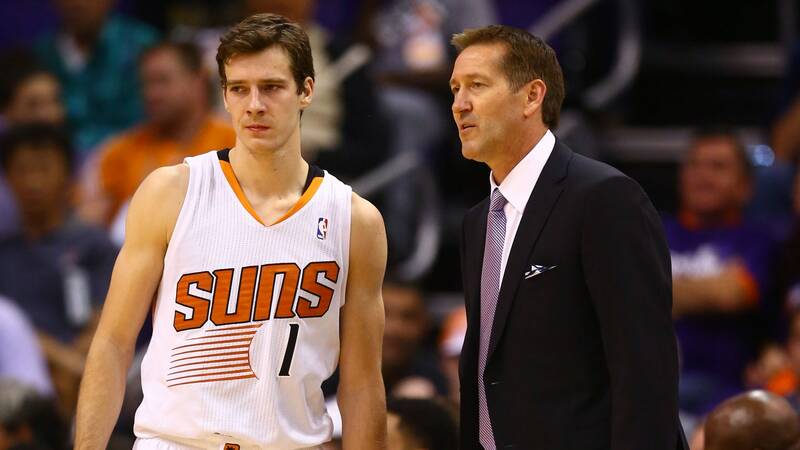 Suns spots, Week 7: Has ‘The Plan’ changed? While local fans prepare to whack the next visiting team with a 39 1/2-foot pole, Randy Hill provides this week’s episode of Sun Spots. 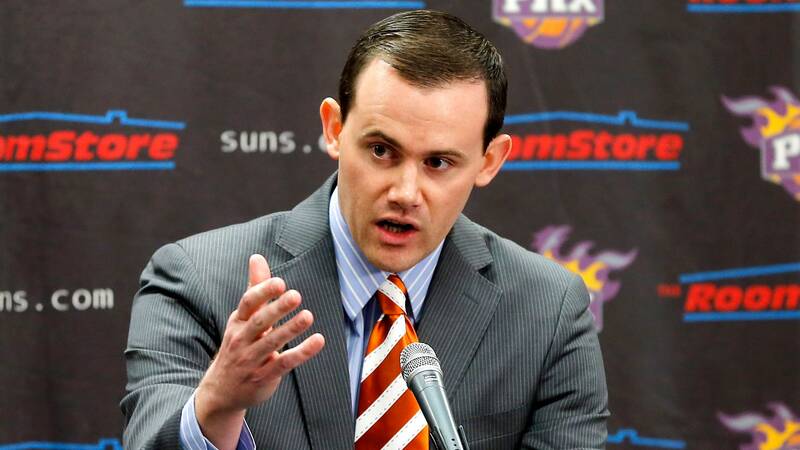 Well, thanks to a report on NBA.com, some Suns watchers may be wondering if general manager Ryan McDonough is prepared to deviate from "The Plan" based on the immediate (and unexpected) success of this year’s team. In the NBA.com story, it was revealed the Suns have made it known they could loosen their grip on one or more picks in the 2014 NBA Draft to acquire "an established star capable of making an impact now." And even though McDonough was quoted as affirming the notion of packaging picks in order to find star talent, he also clarified the team’s stance during an interview on KTAR last week. In that discussion, the first-year GM insisted the Sun wouldn’t chase a playoff spot this season by trading for a player … unless that player was of star caliber and around 25 years old or younger. Unfortunately, teams aren’t exactly lining up to trade young, star-caliber players — especially when the package of picks in return fails to include a lottery pick. If the Suns continue on their current pace, their own pick will continue decreasing in value. And the three potential picks they could land for next June all have built-in protections. Considering the potential of prospects expected to available near the top of the draft, nobody figures to want multiple picks in exchange for a top-five spot. Besides, the idea of using draft-related assets (or cap room) to acquire an established, high-level pro always has been part of McDonough’s thinking. Next on the Suns’ holiday to-do list is defeat the Spurs on Wednesday night at US Airways Center. This will be their second meeting with the Western Conference’s second-best (in terms of record and tiebreaker numbers) team but first with the dynamic Phoenix backcourt intact. 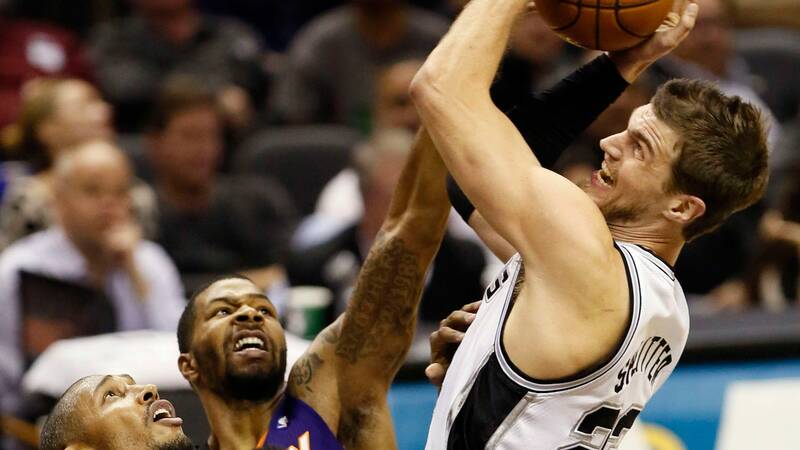 Working without Goran Dragic, the Suns lost to the Spurs 99-96, on Nov. 6 in San Antonio. It was the second night of a back-to-back for Phoenix, which received a 23-point, 12-rebound performance from Markieff Morris in that contest. Demonstrating his commitment to attacking from sweeter spots near the basket than Suns fans were accustomed to seeing him operate, Markieff abused San Antonio defenders Tiago Splitter and Boris Diaw. Splitter, who leads the league in defensive rating (for players averaging at least 20 minutes per game) has missed the last four games with a calf injury. The Spurs (19-4), who are 14 points better than the opposition with Splitter on the floor (that puts him seventh in the NBA for that metric), have been starting former Arizona State standout Jeff Ayres (formerly Pendergraph) in his absence. According to a report, Splitter was expected to be back on the floor last Friday. 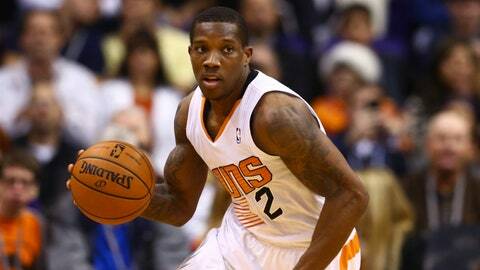 If he’s ready to go in Phoenix, that makes the Suns’ task just a bit more difficult. With their double-point-guard ability to attack in transition after forcing turnovers or grabbing defensive rebounds, the Suns lead the league in fast-break points per game. But despite having Dragic and Eric Bledsoe healthy and playing together, they still aren’t where Hornacek wants to be in overall tempo. According to basketball-reference.com, the Suns rank only 13th among NBA teams in pace (number of possessions per 48 minutes). "I don’t feel like we’ve had that pace yet," Hornacek said. "We’ve had a decent pace. We have a good pace when we get the rebounds, but we want to do it after all baskets that are made … take it out and go. "It’s the makes where I want us to push it a little more. We’re watching it go in. Just grab it and go. We got two guards in Eric and Goran … you can hit either one. They’re usually out there together." Even if a swift inbound and up-court push doesn’t yield a quick shot, this greater urgency can help the Suns in their effort to probe both sides of a defense in their half-court action. "The big key is that we run a play and start it at 14 (seconds), then we’ve started too late," Hornacek said. "We’re getting better and getting into it at a little quicker — around 16 or 17. I want to push it where we’re getting into these plays at the 18 or 19 mark." Now that they’ve won five games in a row and are sort of shocking the pro basketball world by insinuating themselves into the playoff hunt, the young Suns probably are growing more confident by the minute, right? Well, Hornacek really doesn’t see a lack of confidence as being an issue at any point in the season. "Maybe finishing games is a little better," he said when asked about any self-belief issues with his players. "I think in the beginning, because we were new in situations we probably weren’t expected to be in early, we had some struggles. "Overall, I’d say we’re about the same. I think they’ve played with confidence from the start. We lost some games to San Antonio and Oklahoma City, and I think even those losses helped with the confidence. They saw that if they can play with those two teams — on the road — you got a chance to be halfway decent. So they’ve been pretty confident all year." It also doesn’t hurt that Dragic’s confidence received a career-sustaining boost while working as a starter in Houston a couple of seasons ago. And even though this is Bledsoe’s first season as an NBA starter, believing in his abilities never seemed to be a problem. Even though they had a modest two-season portfolio, confidence hasn’t been lacking in the Morris twins, either. The candor and egocentric nature of former Suns center Marcin Gortat now is on display in Washington, D.C. The Polish Hammer/Machine, who was dealt to the Wizards in exchange for a protected first-round draft pick, is helping the Suns’ asset-acquisition cause by averaging 13.1 points and nine rebounds. If the Wizards (9-13) can win with more regularity, the Suns will receive that pick next summer. But the busy center from Poland isn’t exactly thrilled with how he’s being used these days. Imagine that. "I don’t like the position I play," Gortat said after dropping only six points (and going 3 of 10 from the field) in a loss to the Clippers. "I’m constantly drifting more and more away from the basket. That’s not my game. I’m capable of making one or two plays like that away from the basket, but I feel more comfortable underneath the basket." 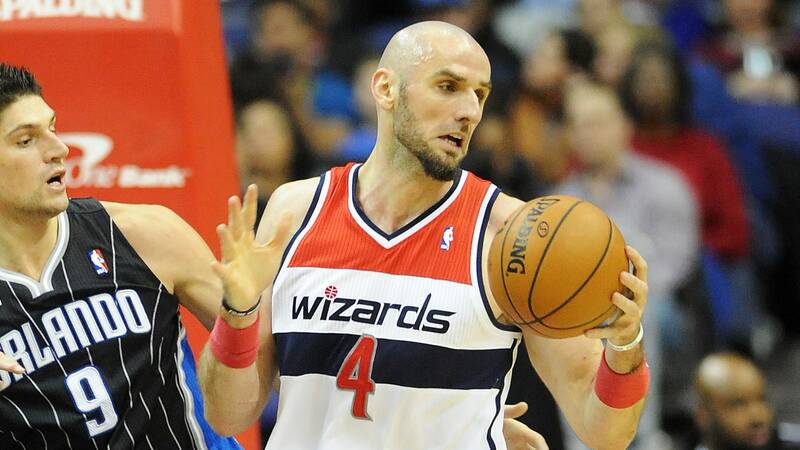 According to research by the Post author, Gortat is operating outside his comfort zone on a whopping (based on his history and skills) 37 percent of his shots. With a reputation as a deadly finisher in pick-and-roll situations, opposing teams have been even more focused on taking away those opportunities.